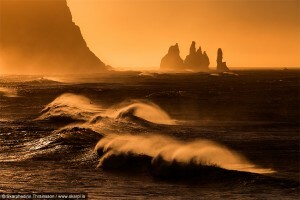 This Iceland Summer Photo Tour is for the serious landscape photography enthusiast lead by David C Schultz and Skarpi Thrainsson.. Our goal is to assist you getting to the right locations at the right time for the best photographic results. On this tour we will travel around Iceland, visit and photograph the most unique locations in each part of Iceland, and visit some great nesting areas to photograph the Atlantic Puffin and other birds of Iceland. In June, the sun hardly ever sets, so we’ll have long days, and late night sunset/sunrise shoots. Skill Level: Beginner, amateur, enthusiast and advanced photographers. All welcome! 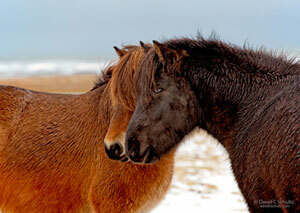 As always in Iceland, we will be flexible and adjust to weather to make the most out of the tour. You arrive in Iceland and check in your hotel in Reykjavik. Round-trip transportation will be arranged to and from the airport and is included in the cost. It’s about an hour ride. We’ll meet at the centrally located hotel at 18.00 and go out for a dinner in Reykjavik where we briefly go through the tour itinerary, safety and some practical things before we start our adventure in Iceland. If you arrive early in town, you can photograph some of the attractions such as Harpa Concert Hall, Hallgrimskirkja, Sun Voyager or Perlan. We start early from our hotel in Reykjavik and start our tour by, traveling down to the south coast and overnight in Vik area, we’ll photograph seascapes and few of the majestic waterfalls on the south coast such as Seljalandsfoss and Skógafoss. We’ll take a walk right behind Seljalandsfoss waterfall (hope you brought along a weather-sealed camera body! ), and photograph Skógafoss. Next we’ll spend our evening around the small town of Vík in Mýrdal (which has a beautiful country church surrounded by fields of lupine wildflowers), and photograph the Dyrhólaey sea arches, sea stacks, and puffin colony. We start the day shooting some of the unique landscape in Vik area and then head east and we drive past the smallest grass-roofed church in Iceland at Núpsstaður on our way to Skaftafell National Park, where we’ll photograph more glaciers, Hvannadalshnjúkur (the highest mountain in Iceland). The iceberg-filled glacial lagoon Jökulsárlón is another classic postcard scene, and we’ll have a unique Icelandic farm-stay experience that night. More glacier lagoons as we will visit the off the beaten track Heinabergslón before heading further east to photograph the jagged peaks of Vestrahorn. 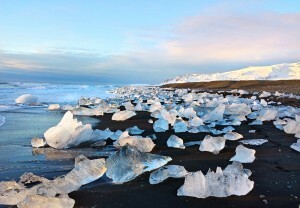 We will have another go at Jökulsárlón in the evening in case we where not lucky with conditions the day before. The Horn area is below Vestrahorn, a 454 meter high mountain and an interesting geology site composing of un-stratified plutonic rock, mostly gabbro but with some granophyre. East of the mountain is a strange-shaped outcrop called Brunnhorn that stretches out to sea. Vestrahorn is a very picturesque mountain with black sand dunes in the foreground and a shallow beach which when conditions are right allows for wonderful reflections. We take a special puffin tour to one of the greatest nesting areas on the south coast, then explore the Glacier Lagoon and Mountain Lagoon area, photograph the lagoons, ice beach and Vatnajökull the largest icecap in Europe, yielding some incredible panoramic views just begging to be photographed. We stay the night in the lovely country hotel. The picturesque east fjords are calling us. We will stop at the more jagged costal peaks of Vestrahorn and Eystrahorn and we’ll stop in ample locations to photograph sea-stacks, the winding roads and cascading streams down the steep terraced mountains. Perhaps Reindeer (the trademark of east Iceland) will cross the road on this summer tour. We’ll arrive in Myvatn that night, and stay for the next two nights. Now in the north of Iceland, we’ll feel the plummeting power of Europe’s largest waterfall by volume, Dettifoss, from it’s better yet less-visited side, and take some shorter hikes in the river canyon of Jökulsárgljufur National Park to see rock stacks dividing a the powerful Jökulsá á Fjöllum. In Mývatn we’ll photograph geothermal steam vents, bizarre volcanic formations, and fields of craters that will make you feel like you are on the moon, then check out or swim in warm, silica-rich water with an amazing blue-color, from a nearby geothermal power plant. We take an easy hike to the geothermal fields of Hveradalir in Kerlingarfjöll, one of the most colorful geothermal areas in the highlands of Iceland. On our way back from Kerlingarfjöll we stop at the waterfall Gýgjarkvísl, then take the gravel highlands route back down to the Geyser area in Haukadalur, and have an opportunity of shooting one or two of the pearls in the “Golden Circle” while we make our way back to Reykjavik in the night. 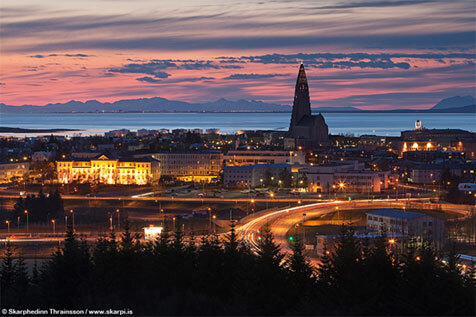 We’ll stay in Reykjavik the last night, allowing you to do any last minute shopping or city sightseeing. *Should you need to cancel then the following terms apply. Cancellation request MUST be in writing. Thank you. Deposit of $1000 required to reserve spot and that can b made with a credit card by clicking the Buy Now button below. A direct bank wire transfer is required for the balance which is due by April 1, 2016. Banking information will be provided after the deposit is received. David C Schultz as your guide and instructor. Important Information: Hiking will be involved at certain locations. It is the responsibility of each participant to come prepared to hike and it is strongly recommended that you have travel insurance which covers injuries or trip cancellation. It’s very important for all to understand that nature photography and great images depend on the light and we will make changes to the itinerary accordingly. Everyone will have to be flexible with meal times. We’re happy to help you with any questions regarding the tour, what to bring and just as important what to leave behind. A list of suggested equipment and clothing will be provided upon request.